You'd think BetOnline doesn't put much effort into marketing, yet the big max bonus offer tells otherwise. A long standing commitment to customer service & reliability. Quick deposits with Visa and Mastercard, and plentiful betting options. Payout speed has improved recently, but 8x rollover bonus can take a bit more patience. Easy Visa and MasterCard deposits. Casino and horse racing bonuses. A newer site but with lots of upsides. Great bonuses & easy depositing. If you don't mind the growing pains, you'll enjoy the satisfaction of having made a good value pick. New site with slick interface. Xbet is new to the game but knows that gaining a solid reputation with their fast payouts and great promotions is what will one day take them to the big leagues. Cutting-edge site and mobile interface. BetNow is a new site that's keeping things simple. Simple to deposit and play, big bonuses that are easy to rollover and easy to get your winnings back in direct deposit within a few days. All 3 major credit cards accepted. To some degree, the qualities an individual seeks when shopping for a sportsbook are in the eye of the beholder. But it’s safe to say that everyone wants reliability, professionalism, an easy-to-use platform that works on a computer, phone, or tablet, and a site that appreciates your business. In a crowded field, those who are new to sportsbooks tend to flock to those that have big sign-up bonuses. That can be a shortsighted approach, though. The restaurant with the best appetizers might not have the best entrees, after all. Bettors need to ask themselves what sort of bets will they be making, how frequently and in what denominations will they be wagering, what services do they actually need, and which only sound good? Only then can you decide which sites and which promotions will benefit you the most. If you want to look beyond bonuses, compare sportsbooks with this tool to see a side-by-side comparison of all the features they offer. Generally, experienced players are looking for high limits, early lines, any opportunity to get reduced juice, and fast payouts. Veterans who are playing for more than kicks understand the percentages, and any opportunity to load up on a bad line or bet on a -105 moneyline instead of -110 will up their winning percentage. They know that, at times, there will be a need to quickly withdraw and deposit money. Those are factors of the utmost importance. Few if any other sites on the web pay more attention to detail when reviewing sportsbooks than MTS. In order to get a fair assessment of how books treat players, we create accounts, interact with customer service, deposit money, use the site, and see first-hand what the experience is like. Only when we feel comfortable playing at a particular book on a regular basis do we give a thumbs up to our readers. Furthermore, we cross check out ratings and reviews with trusted colleagues to make sure one experience isn’t biasing our opinion. The bottom line is that we play at the sites we recommend (and have played – past tense – at the sites we don’t). If a site doesn’t payout quickly, I don’t want to be a customer, and neither do you. If our experience with a website is top notch, from betting to interacting with employees to bonuses and payouts, we reward that site by disseminating our positive experience. How deposits and payouts work online? There was a time when many online sportsbooks were shady, and withdrawing money was difficult. That has not been the case in a long time. Reputable books now make things easy on customers by allowing you to deposit using a credit card, wire transfer, alternative currency (like Bitcoin), and a few other methods. (Honestly, they’ll take your cash just about any way you can get it to them.) Once the money is received, you can start betting almost immediately. Generally, you are paid in the same manner you deposited, however, getting cash back on a credit card is fairly rare. Depending on the site, you can almost always get a check, and there are usually ways to expedite your payout (though you may have to pay a fee). The good sportsbooks, i.e. the sites we recommend, are quick to initiate payments and you almost always get you your cash in 10-14 business days. The best sportsbooks are significantly faster than that. How we choose with sportsbooks to review and rate? We won’t beat around the bush. We’re not the Pentagon. We have limited resources. Even though there are hundreds of sportsbooks out there, the vast majority of people will come across a certain subset when they start their sportsbetting journey. Instead of rattling off substandard reviews of hundreds of sites, we chose to do in-depth, quality reviews of the most well-respected and popular sites, in other words, the sites that have been proven themselves with a rock solid track record. We’re always on the lookout for up-and-coming sites and add reviews once a site has established itself and we can do our due diligence on it. If you would like to see a review of a particular site not already covered, contact us and we’ll do our best to accommodate. We cannot recommend the following sportsbooks as they currently fail our review process for various reasons. Slow payment of customers funds. Find answers to common questions bettors like you have when researching which sportsbook to join. How do I ensure I get the best sign-up bonus from a gambling site? Just like any business that has competition, sportsbooks will court you with an offer to join them. Virtually every sportsbook (there are some exceptions) offers bonuses as incentives to use their services. While the types of rewards offered may vary depending on the sign up offer, the best bonus is the one that maximizes the way you play. A one-time sign-up bonus is better for some people, while reduced juice overall helps others. Other prefer to get a couple of free bets so they can test the waters. Know yourself, then go shopping for a bonus that will maximize your profits. What are the biggest red-flags of an untrustworthy sportsbook? 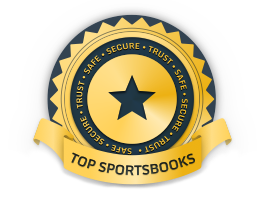 There are an ample number of established and trustworthy sportsbooks on the internet. If you can't easily find background information about the sportsbook you're looking at, it may not be a legitimate site. Reputable sportsbooks all have solid customer support. It's in their best interest after all, since many questions from users will center on how to make bets. If a sportsbook doesn't have a customer support system in place, that should be a major red flag that something is rotten. Similarly, if its customer support can't answer basic questions – especially ones about withdrawals – you might want to slow your roll. Again, this depends on how you make bets. Generally speaking sportsbooks like Bovada and Bodog will have odds that cater more to casual bettors while Bookmaker and My Bookie provide sharper odds to bettors who are more experienced. Odds can vary between sportsbooks so it's good to shop around. In addition, some books have specials for different sports, while others are great for parlays and teasers. Are you going to be betting on Sunday night for football games the following weekend, or will you be waiting until the last minute? Some books are better for taking favorites, while others offer improved odds for dogs. Read our reviews carefully, and hopefully one will fit with your style best. Not usually. There are some sites that have poker rooms or casinos which necessitate a download. But, in almost all instances, sportsbooks are web based, and can be accessed on any device without any extra software. Can I bet from my phone? Most worthwhile sportsbooks are mobile-friendly these days, and generally you don't even have to download an app. The actual process of placing a wager on your mobile site is no different than making a bet from your computer or tablet. Our full reviews indicate whether a sportsbook supports betting from mobile devices.